" The moment I get-off the boat and saw her beautiful and perfect coastline of powdery-white coral sands, Mantigue Island obviously mesmerized me. The island is beyond its beauty. Yes, she’s a beautiful [forever virgin] lady! " 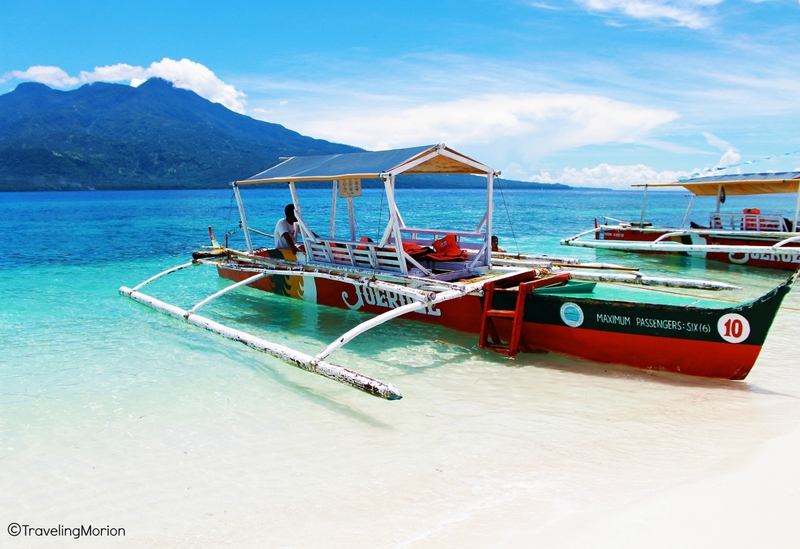 Camiguin is a favorite destination for many tourists, whether local or foreign travelers. This beautiful island, born of fire from a volcanic eruption, features a wide array of amazing spots to explore, places to visit. 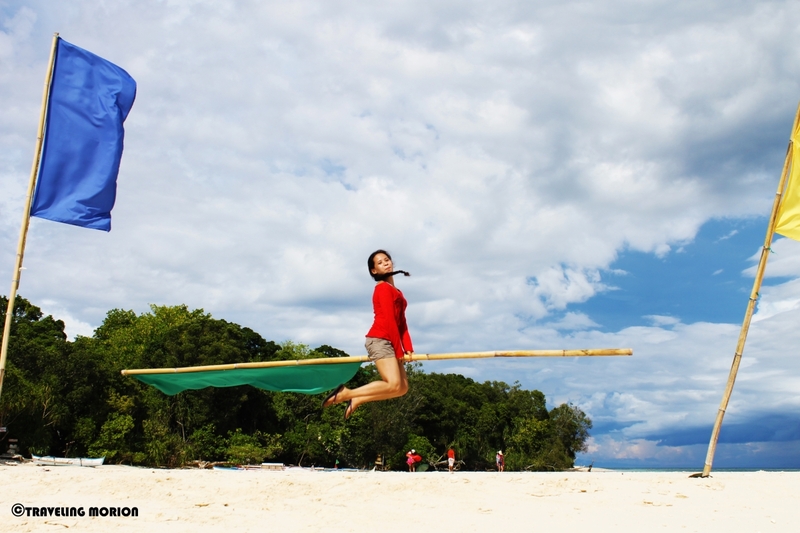 You’ll never run out of things to do when visiting Camiguin. 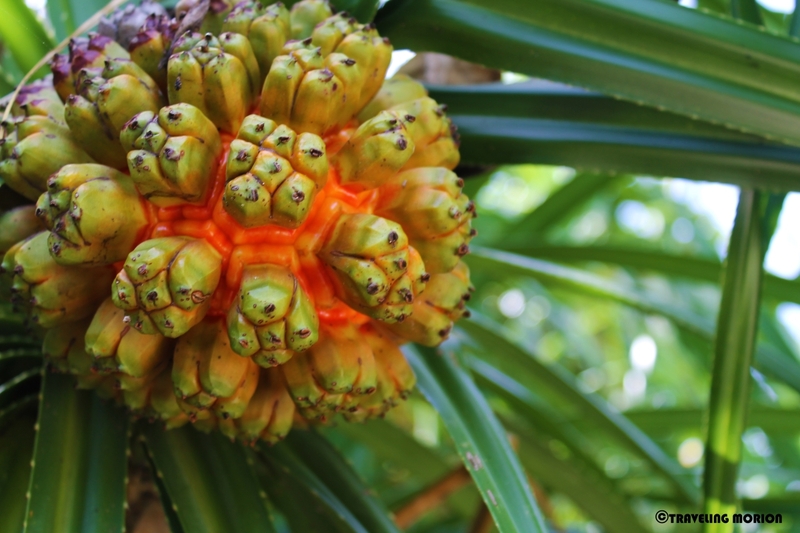 Aside from the distinctive shape of island, looking like a sleeping woman when viewed from one side, the island is also known for its sweet lanzones fruits. Not all tourists are lucky enough to taste these sweet treats on the island because it is a seasonal fruit but if you plan to visit in October, then you can also witness how the little province celebrates the annual Lanzones Festival plus get the chance to indulge your taste buds with this grape-sized tropical fruit. 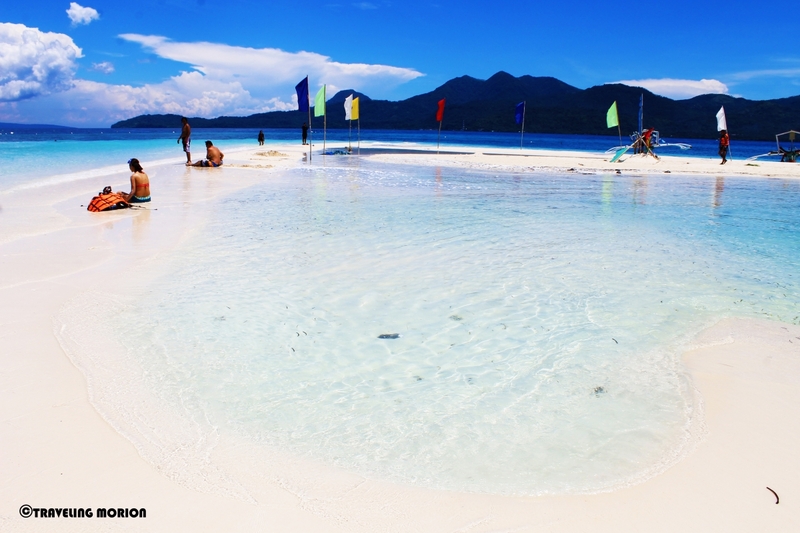 Most of the people who visit Camiguin also take a trip to White Island, a sandbar some 2 km from the shores of Mambajao. Not too many go out of their way to explore Mantigue Island. 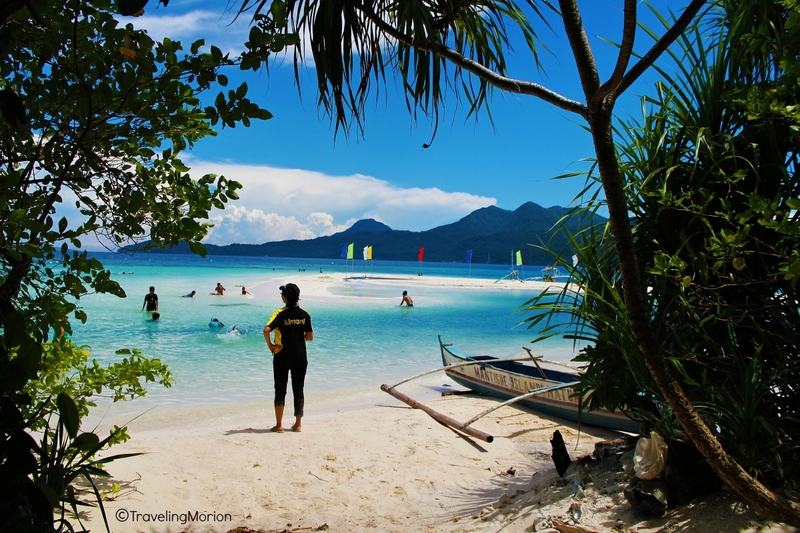 If you are one of those who spent time on White Island but never bothered to visit Mantigue, then you had actually missed the chance to explore a tropical paradise. Compared with White Island’s bare beauty, Mantigue is rich in vegetation. Both do have wonderful waters rich with various tropical marine life but Mantigue’s is more stunning. Perhaps because it has been declared as a nature park where fishing is prohibited or perhaps because of the rich vegetation in the area. May 17,Summer 2014 | From Cagayan de Oro we took the earliest Butuan bound bus trip going to Port of Balingoan, the gateway to Camiguin Province. After more or less 2-hour bus ride, we arrived in Port of Balingoan around 6:30 AM and able to catch the 7:30 AM RORO trip going to Port of Benoni of Camiguin Province. So much excitement! The one-hour sea travel from Port of Balingoan to Benoni seems so long! We arrived in Camiguin Province around 8:30 AM. From Port of Benoni, we took a jeepney ride going to Barangay San Roque where the boat station going to Mantigue Island is located. 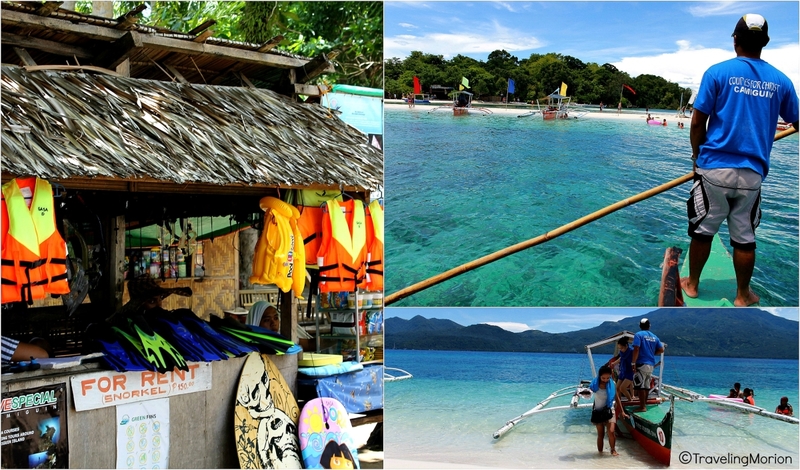 We paid P550.00 for a boat ride, maximum of 6 people, going to the island and travelled for 25-30 minutes. 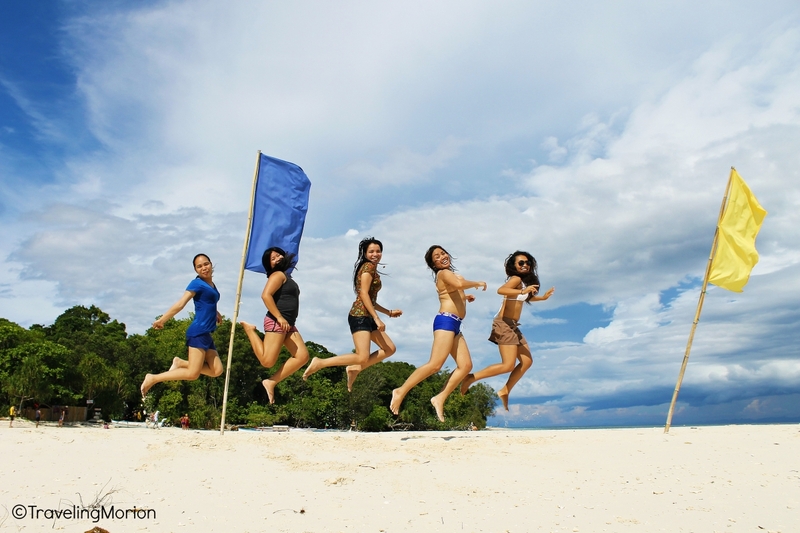 And the rest is history hahaha... JUMP, SHOOT, DIVE, SWIM, SUNBURN! A perfect adventure/destination to end 2014’s SUMMER. Mantigue Island obviously mesmerized me the moment I get-off the boat and saw her beautiful and perfect coastline of powdery-white coral sands. The island is beyond its beauty. Yes, she’s a beautiful [forever virgin] lady! The crystal clear waters of Mantigue will amaze your senses – with corals and fishes easy to view even from a boat. You don’t even have to step into the island or swim its waters to enjoy the tropical sights. Of course, in doing so, you’ll defeat the purpose of your trip to the island. So, you’d better get your snorkeling and swimming gear ready – an underwater camera would be a huge plus in these areas, I tell you. A wide variety of fish species thrive in the crystal clear waters surrounding Mantigue Island. Vibrant colors greet your eyes as you snorkel in the peaceful waters. Be careful not to step on the corals or, worse, on the spiky spines of sea urchins. Ouch! There’s plenty of that at Mantigue, so, be extra careful. 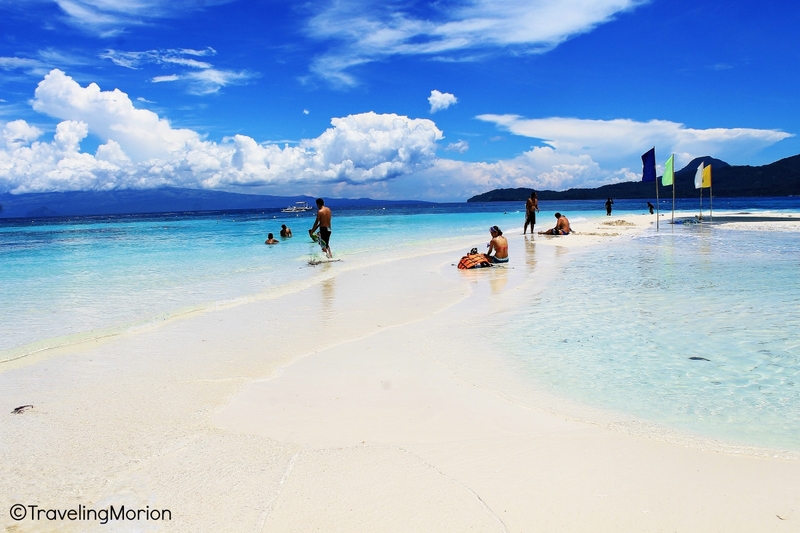 This amazing island features fine, white sand that appears to glimmer under the intense heat of the sun. You can actually walk barefoot on the island, enjoying the soft sand under your feet. After enjoying hours of swimming in the warm, tropical waters, you can explore the rest of the island. The fact that Mantigue has lush vegetation actually makes it a better choice compared with White Island because you could always take shelter under the trees to enjoy a picnic or simply rest and commune with nature. That way, you can spend more time on the island without having to worry about where to find shelter from the sweltering heat by noon. That should also mean more value for the money because you don’t have to hurry back to the mainland. This is not to say that White Island isn’t a beautiful place to visit. Of course, Mantigue and White Islands have their own, unique appeal to tourists. 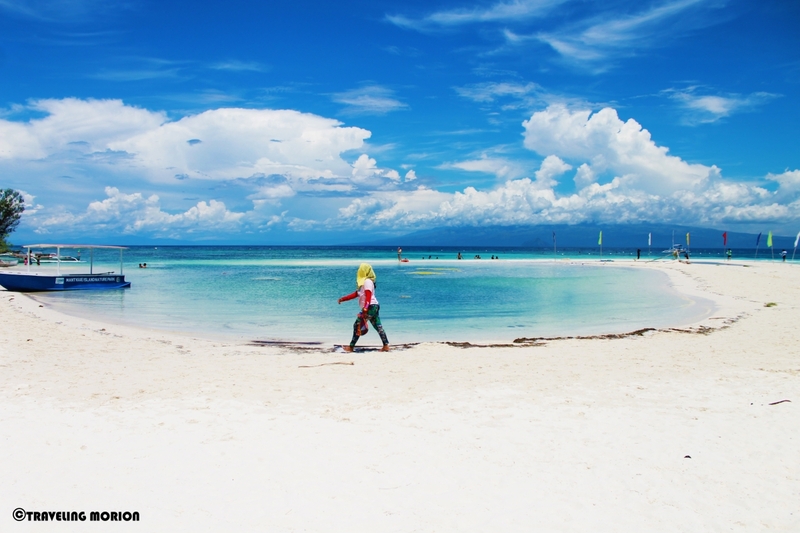 But if you have limited time and have to choose only one place to visit, Mantigue might just be the right place for you. 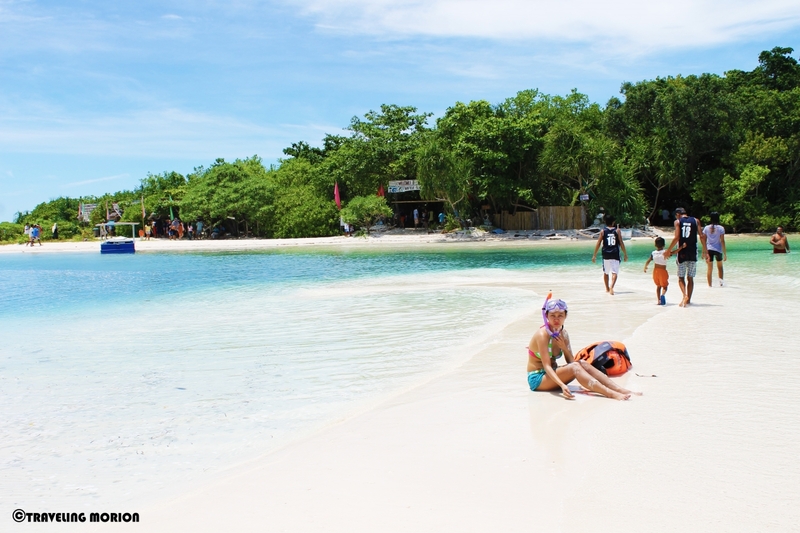 The boat station going to Mantigue Island is located in Barangay San Roque, Mahinog, less than 5 minutes from Port of Benoni and more or less 30 minutes away from Mambajao (the capital town of the province). Boat rental costs P550.00, maximum of 6 pax, life jacket is already included. Entrance fee is P10.00 only. Snorkelling and diving? 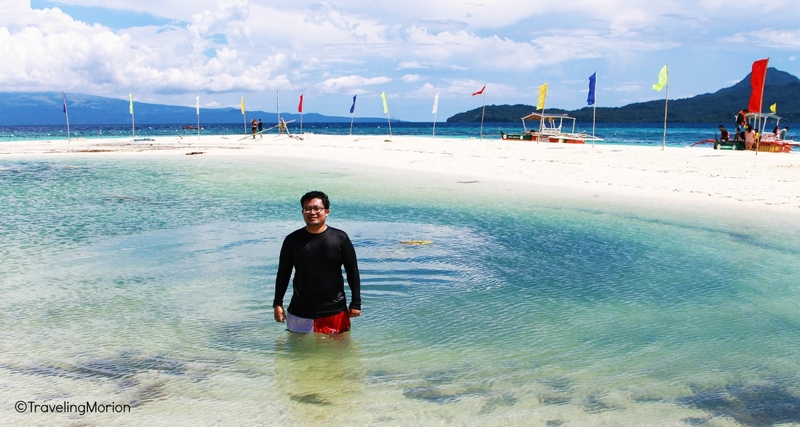 Yep, Mantigue Island’s marine sanctuary is the perfect site! Snorkelling is one of the must-try activities in the island. If you have your own gears/equipment, snorkelling Fee is P50.00 but if you don’t have, you can rent from the stall for P250.00 (including other FEES). I would like to thanks Emyat, Pie, Galema, Kulotz, Cristeta, Belya, Tabachingching Amy, and Joel for joining me in this summer 2014 trip! 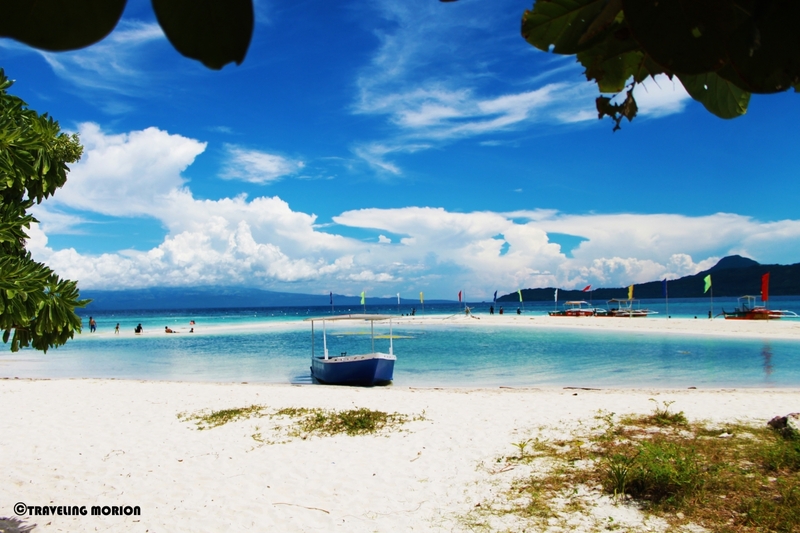 Plan your trip now to the Island Born of Fire and don’t forget to include Mantigue Island on your itinerary! Such a paradise. I love her jump shot with a bamboo hehehe. breathtaking photos! amazing beach! wish i can be there right now as it is very hot! the place is so beautiful, and love those synchronized jump shots, very fun. one of the places in my bucket list...so beautiful and enchanting..
Beautiful! It is rare to find pristine beaches now. Most have been developed into commercialized resorts where hordes of tourists go to. I love going to places that are more private and secluded (and cheap). Thanks for sharing. Who knows i might get to visit that place someday. I wanna take a dip into the pristine water. Hay, di lang manga ang masarap dito pati rin maligo. Your pictures are enough to convince me that it is worth seeing Camiguin. Lovely place! 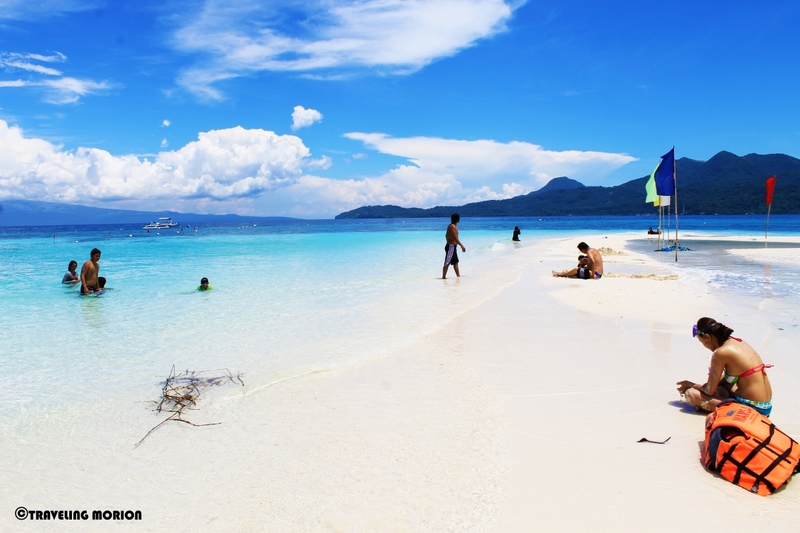 The Philippines is so blessed with beautiful places like Mantigue Island. I wish we could visit this place next summer. ahhhh, paradise on earth! beautiful beyond words... another place to add in my wanderlust list. Another great post from you! 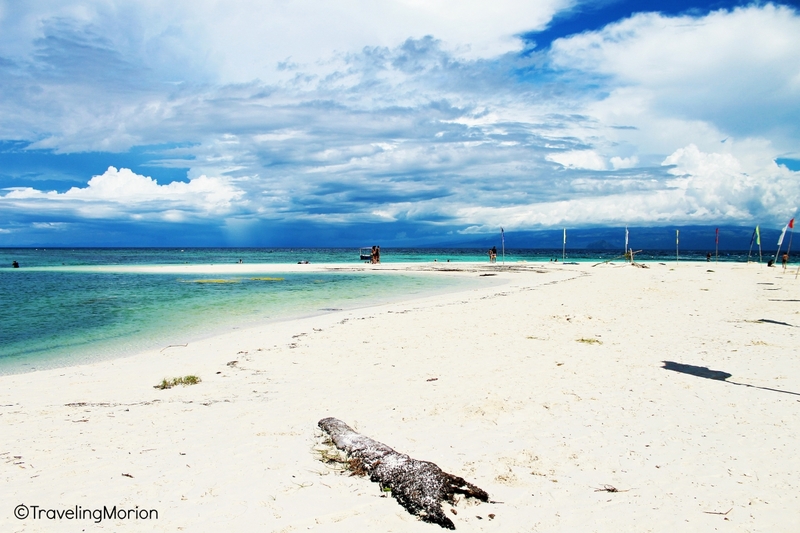 It really makes me want to go and travel lovely Camiguin!